We were running a little late to our appointment, so we didn’t get to take a photo of the front gate, but we can assure you it is a thing of beauty, be sure to take in the view upon entering. Upon arriving, we were checked in promptly and immediately moved towards the left-side bar are for just a quick splash of rose. We were seated shortly after outside on the patio area overlooking a beautiful vineyard with the mustard in full bloom. We were briefly asked if there were any allergies or things we didn’t eat, and just like that, our “Delicacies” experience began. 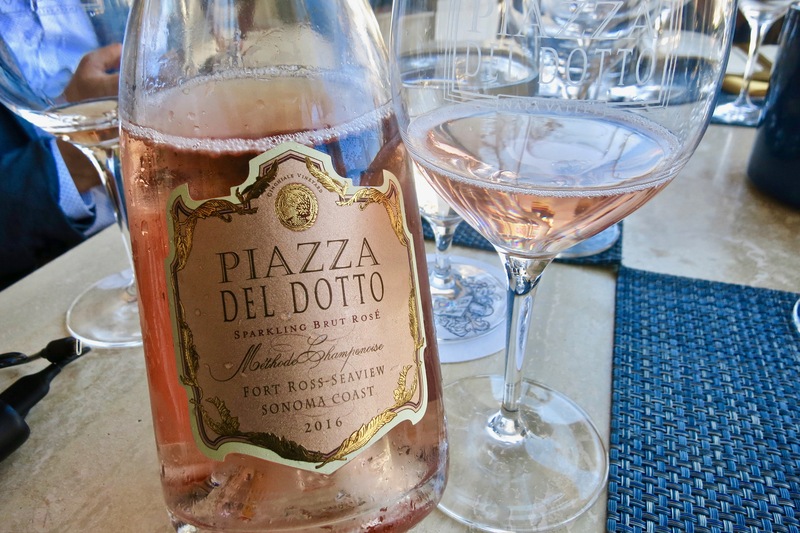 The first course was an “Omelette.” It was paired with the 2016 Piazza Del Dotto Sparkling Brut Rose from the “Cinghiale” Vineyard in Sonoma. 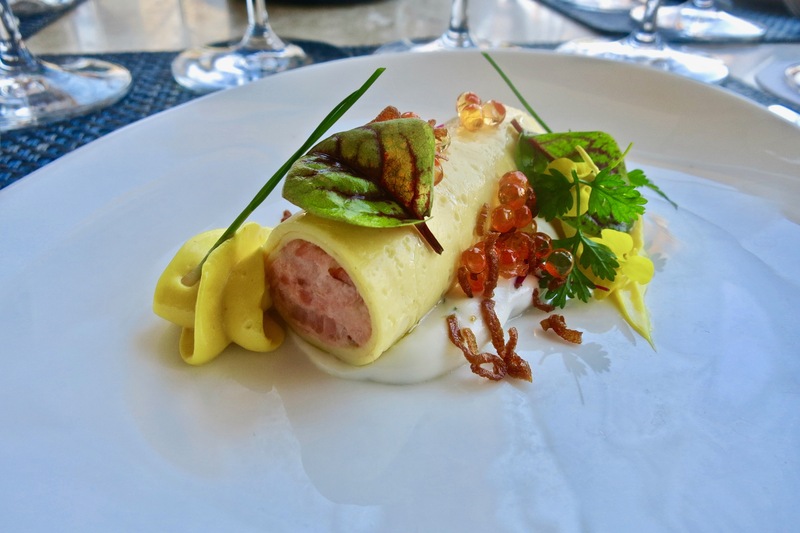 Pairing: The Omelette was delicate and full of savory flavors, with the Roe adding the saltiness that was needed. Some fresh florals, a mustard mousse and the crema lifted the dish and gave it the freshness to contrast the savory components. The sparkling complimented the dish extremely well, giving that sparkling clean mouthfeel of minerality and gentle red fruit. Just the thing to start get our palate started. 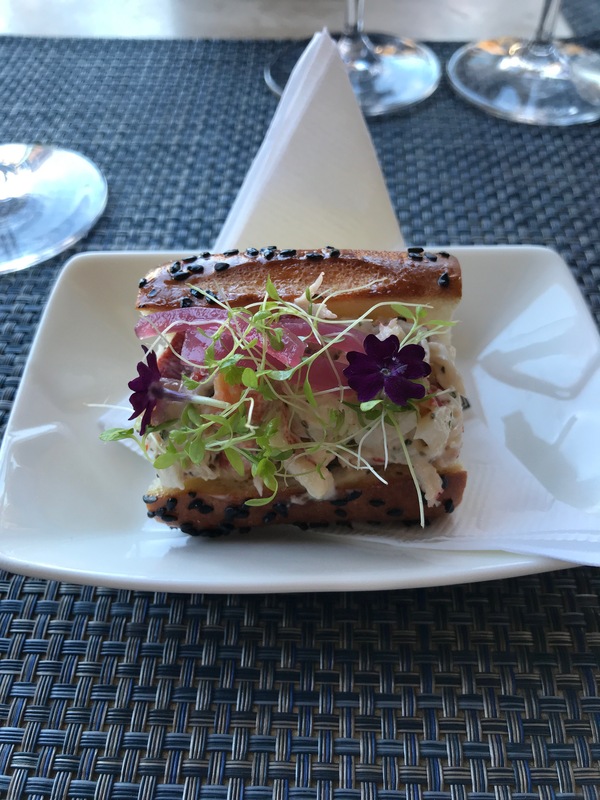 The second Course was a “Maine Lobster Roll.” It was paired with a 2015 Piazza Del Dotto Chardonnay, also from the Cinghiale Vineyard. Wine: Really interesting bouquet of meyer lemons and apple jacks. The palate expresses notes of vanilla, toasted nuts, lemon, nutmeg, and pineapple. Although a bright mouthfeel with beaming acidity, there is a layer of gentle creaminess that glides through for a rather fun and unique surprise. We gave this a 91 points at $42/bottle. Pairing: Really not much to say about Lobster Rolls that haven’t been said before. Absolutely delicious. We really enjoyed the added acidity of pickled onions, and the micro-greens gave it freshness and balance. The homemade brioche roll was top notch. Wish we could’ve eaten 10 of these. 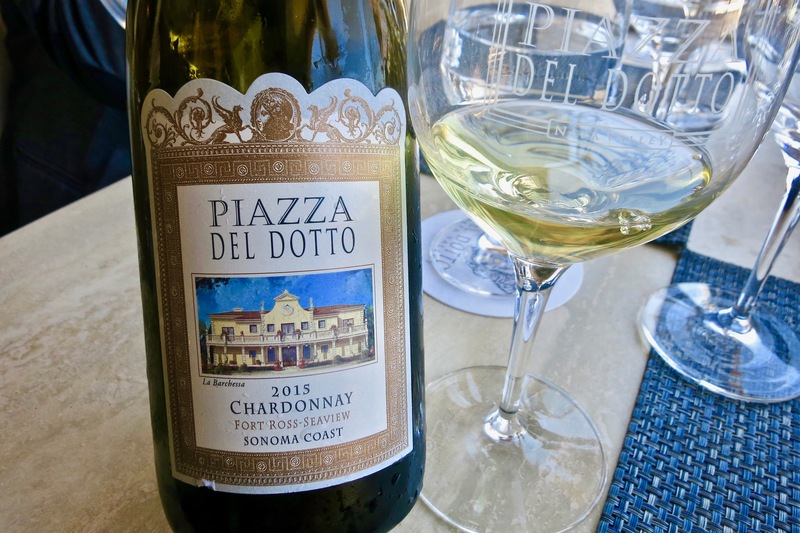 The Chardonnay was an excellent pairing as well, especially with such a lemon-dominant flavor, it gave an acidity and slight creaminess that worked really well with this classic shellfish dish favorite. 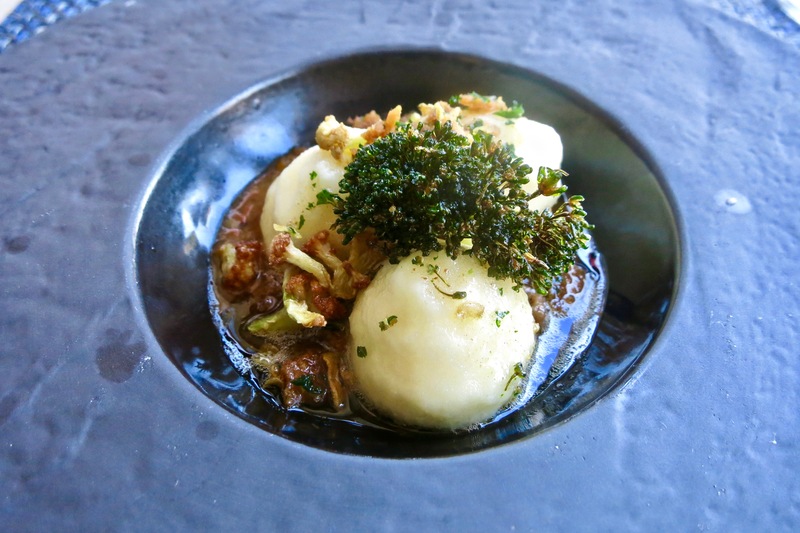 The third course was “Ricotta Dumplings.” This dish was paired with a 2012 Del Dotto Pinot Noir from the “Cinghiale” Vineyard, but we also got a bonus and received a double pairing with the 2012 Piazza Del Dotto Merlot from Napa Valley. 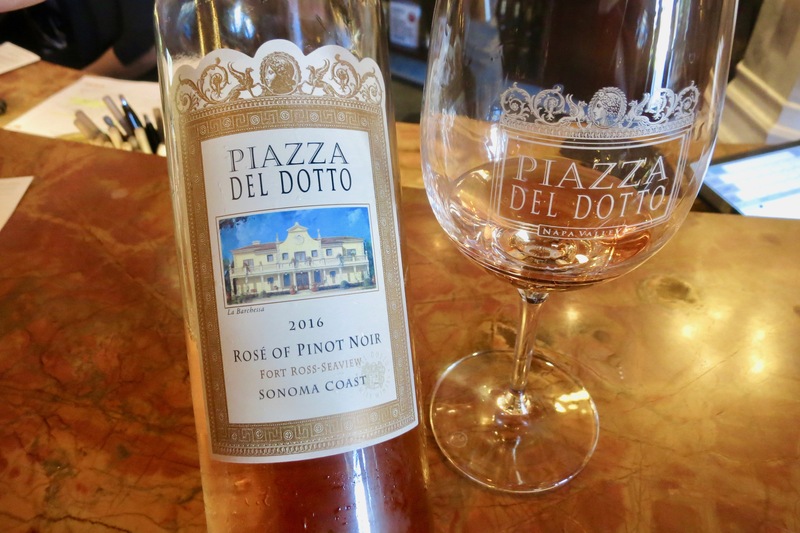 Wine: The Pinot Noir was a classic and rich California, notes of cherry cola, vanilla, brown baking spice paired with big notes of red fruit. Strawberry and cherry dominant palate, with slight notes of citrus peel, big upfront palate that eases up near the end. Complex and well structured, we gave this a 93 points at $75/bottle. 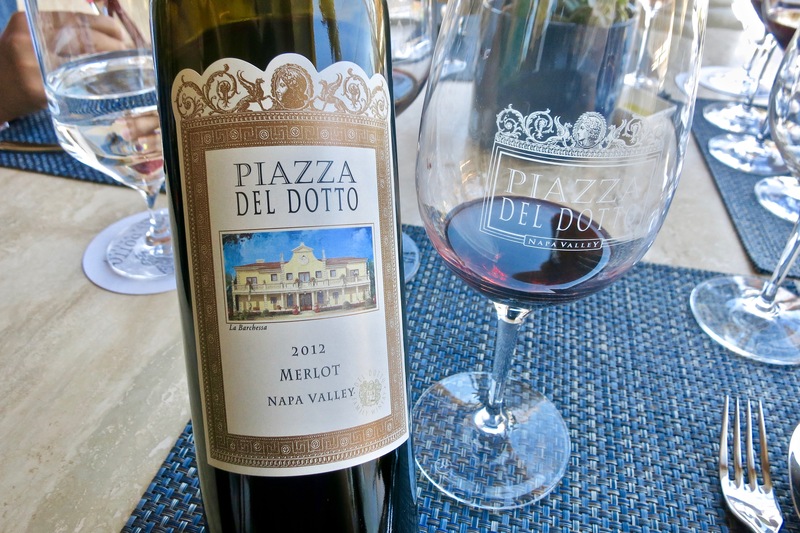 Wine: The Merlot we almost expected to be big and jammy like most Napa, but were surprised to receive bright notes of red florals, red cherries, earthy spice, cedar and red currant. Almost felt like a medium-bodied merlot, with a stretch of elegance at the finish and refreshing mouthfeel. A bargain for its price as well. We gave this 91 points at $38/bottle. Pairing: The Ricotta Dumplings were absolutely delicious, soft and pillowy with savory bits of cheese oozing through. Layers upon layers of cheese with bits of pork and fried garlic/cheese, this really was a heavy hitting, but delicious combination of richness. While we tried both pairings, we gravitated towards the Merlot a little more due to the gentleness and acidity that it gave off. We felt that the Pinot Noir, while a very good pairing, was already complex enough that it could just be enjoyed by itself. 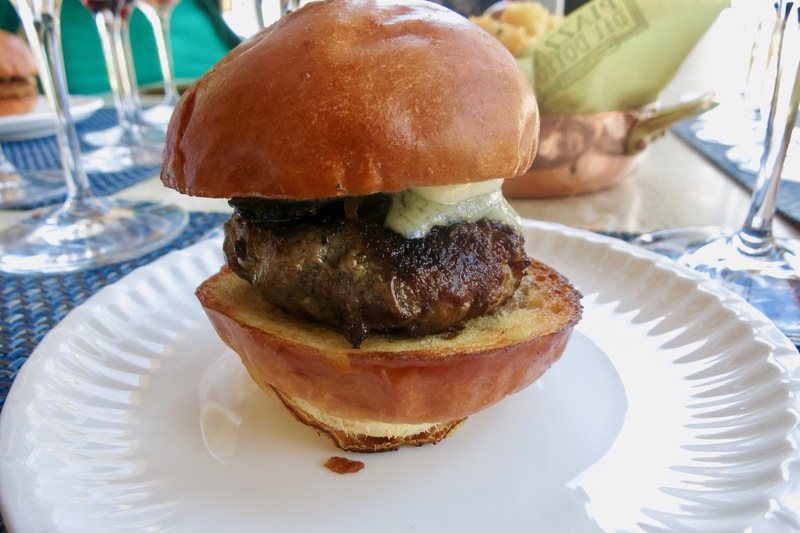 The final savory course was a “Wagyu Burger” paired with 2013 Piazza Del Dotto Cabernet Sauvignon Reserve. 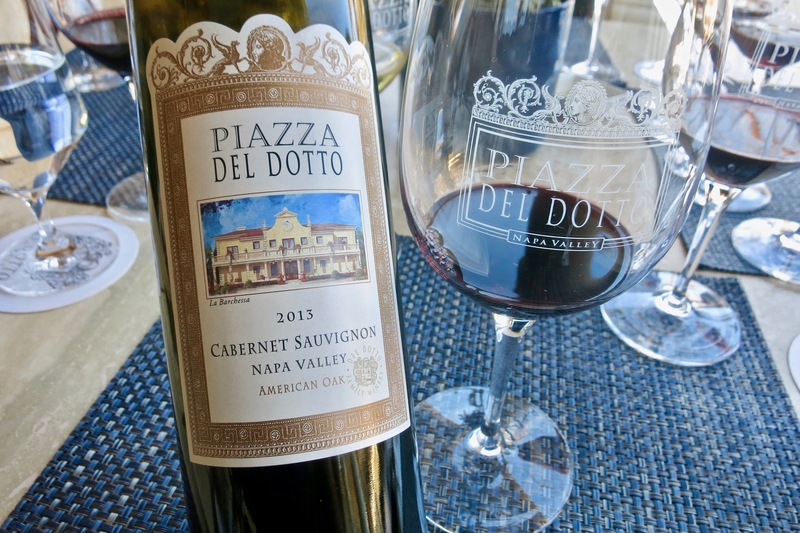 However, like the last dish, we received a double pairing, with the 2013 Piazza Del Dotto Cabernet Sauvignon “American Oak” for some contrast. 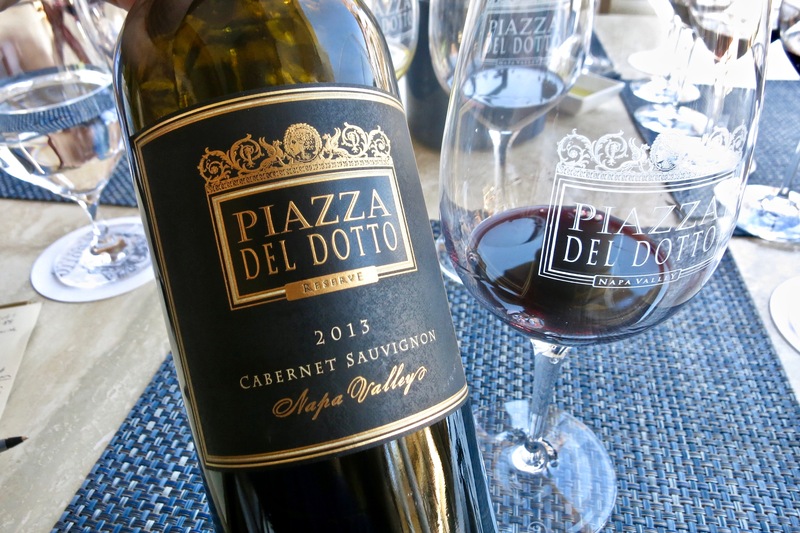 Wine: The “Black Label” here at Piazza, this Cabernet sees the same quality of grapes as the Del Dotto flagship label itself. Notes of coffee, sweet tobacco, mocha, peppercorn, anise, blackberries and black cherry. Classic Oakville notes, well balanced and good integration of oak. We gave this 94 points at $125/bottle. Wine: While it can be said that the use American Oak usually gives a giant overbearing notes of vanilla and chocolate, the usage here showed incredible restraint. Notes of anise, tar, gravelly soil, black cherries, dark chocolate, vanilla spice, cassis, cigar box and cedar. Again, feeling much more of a medium-bodied wine, good restraint and overall balance on the mouthfeel with the gentle implementation of oak and backbone of acidity. We gave this 92 points at $65/bottle. Pairing: Take Cabernet and quality red meat, and it looks like you have a match made in heaven. This was certainly the case here, with the fattiness and richness of the beef, complimented with the earthiness of truffles, pairing with a beautiful Cabernet the best thing to do. Both Cabernet’s paired well, but we felt with the reserve, the French Oak gave a more refined elegance that did justice to such a big dish as a burger. 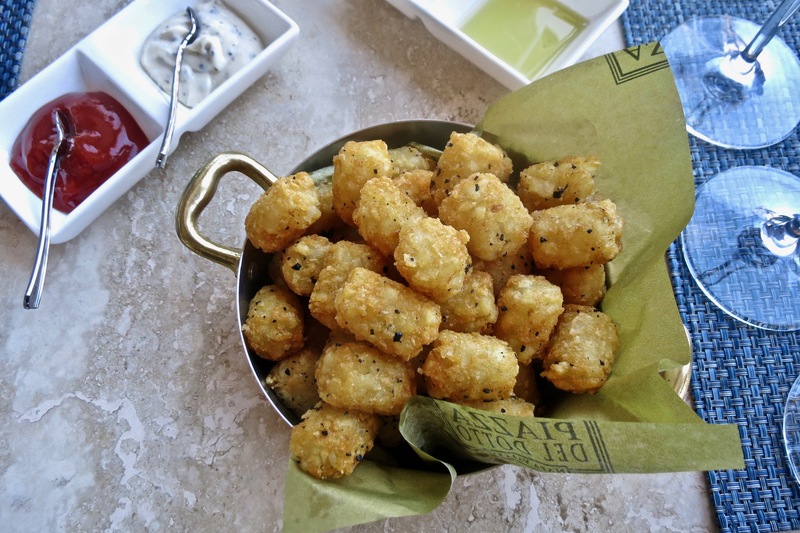 The staff was so nice that they threw in a customer favorite (it seemed like everyone was getting it) the Tater Tots. Needless to say, fried potatoes, always a good thing. 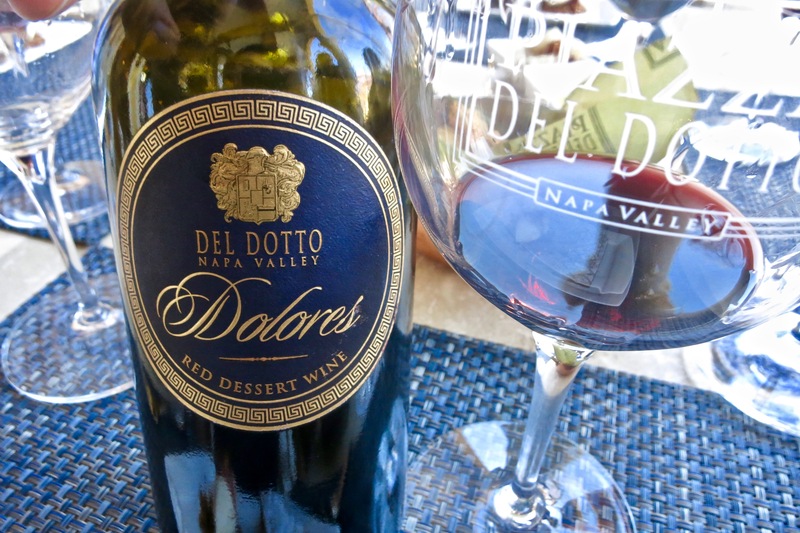 The final dish was a “Fico Linzer Torte” paired with Del Dotto “Dolores” Red Dessert Wine. Pairing: This pairing worked extremely well, with the Dolores providing almost like a red-fruit sauce that binded with the already port-soaked figs. 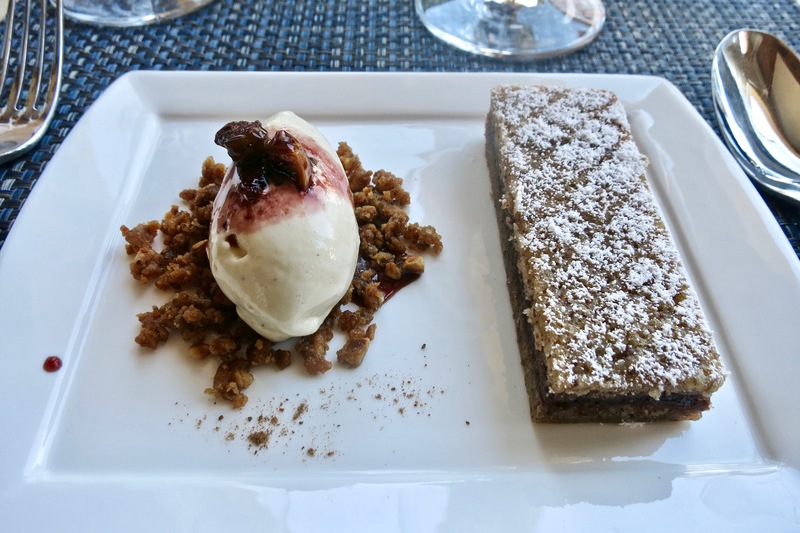 The right amount of softness and textures with the coolness of the gelato really worked on bringing out levels of baking spice and fruit in not only the dish but the wine itself. 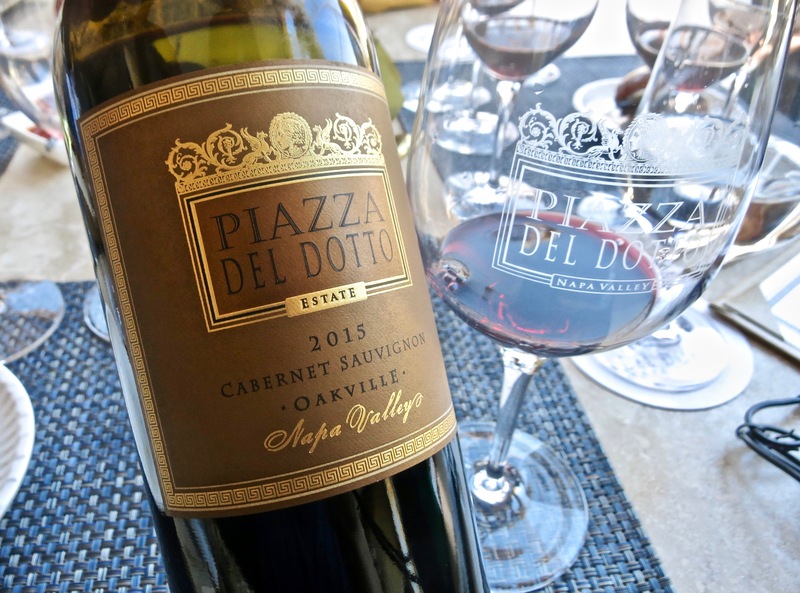 We were given a small treat after our meal, and we got to try out their top wines, the 2015 Piazza Del Dotto “Oakville” Cabernet Sauvignon. Now this was a phenomenal effort, and really spoke nothing but praises for the winemaking team. A beautiful expression of Oakville and the ‘15 vintage, notes of creme de cassis, mocha, tobacco, peppercorn, mint, anise, black tea, blueberries, and black cherries. The palate is so elegant, with a gentle silkiness that coats the palate while still letting the beautiful blue and black fruits shine. 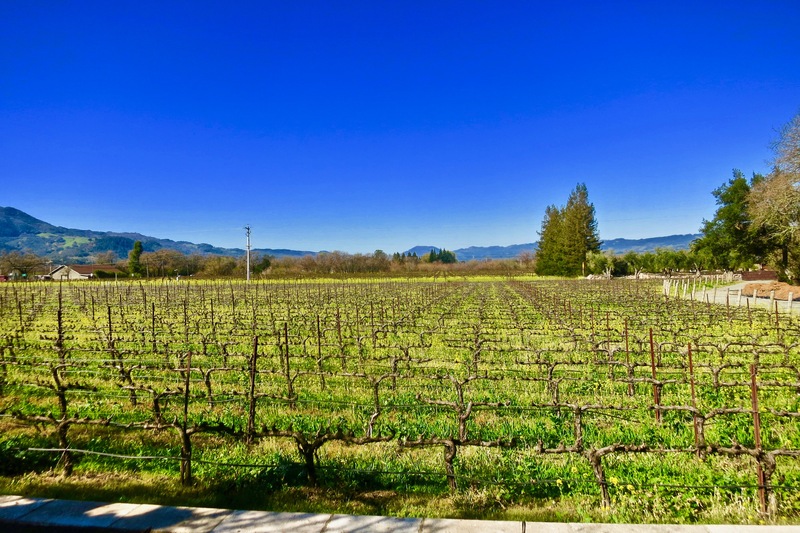 Great oak integration, fantastic body and persistence, with a finish that stretches as far as their vineyard goes. Incredible wine, especially for a ‘15 that will only get better. We gave this 97 points at $195. 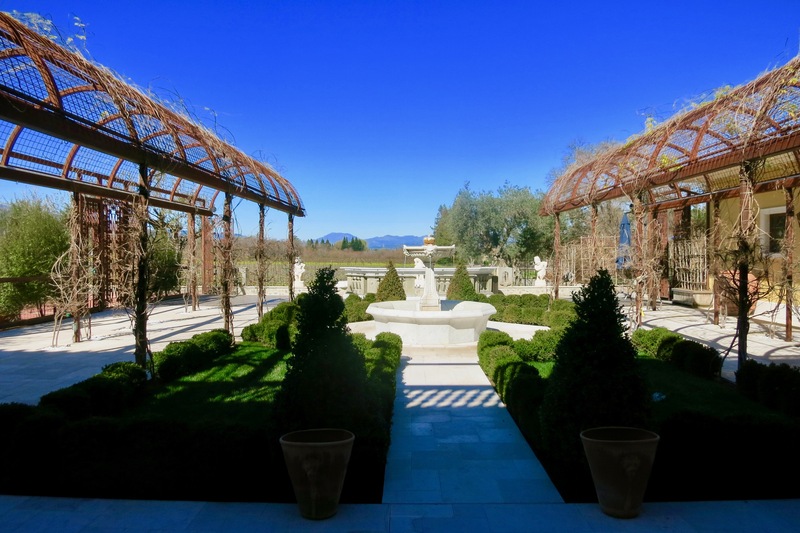 After our delicacies experience ended, we picked up a few bottles of the “Oakville” and walked around the beautiful gardens and soaked in the view. It was mentioned to us that the caves were not quite done yet, and we would definitely have to come back when it was done. Needless to say, they really didn’t give us a reason why we shouldn’t after this incredible experience. 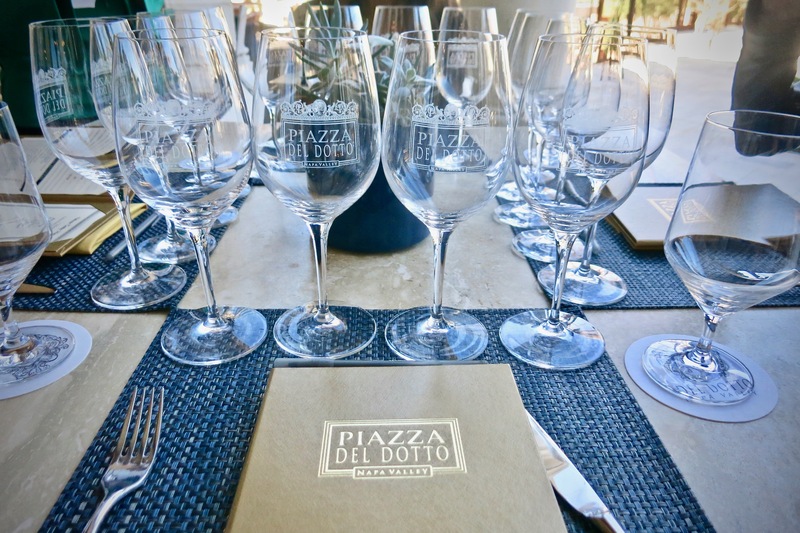 Everything about the Piazza Del Dotto “Delicacies” experience was what we had hoped and dreamed for, it really delivered on all points of great food, great wine, and beautiful views. 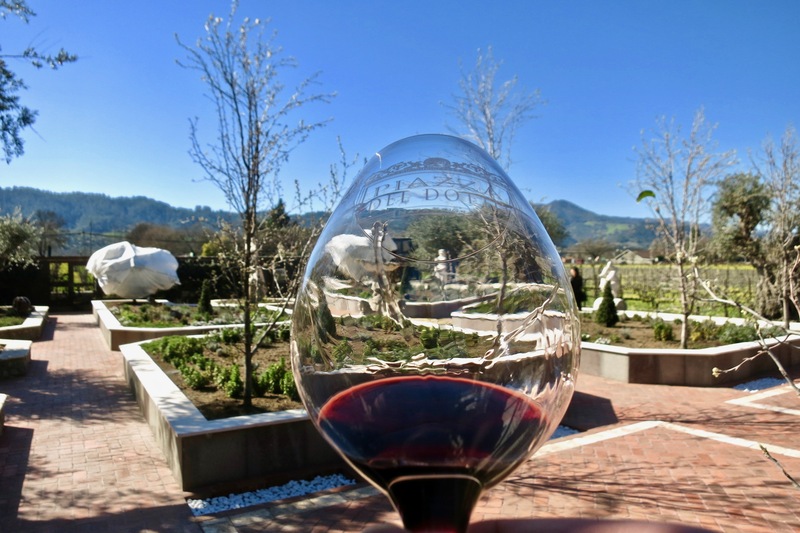 The concept really delivered on the family’s mantra of wine tasting should be a full sensory experience. 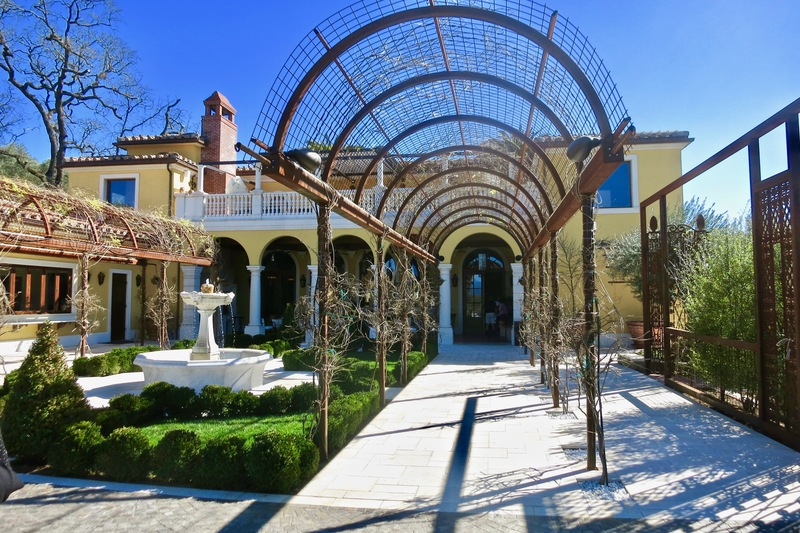 For the price you pay, you really are touching upon one of the great wine and dine deals in Napa Valley no doubt. A big thanks to our host Julia!